We are offering Complimentary Trial Classes in July. Limited to 10 persons only. 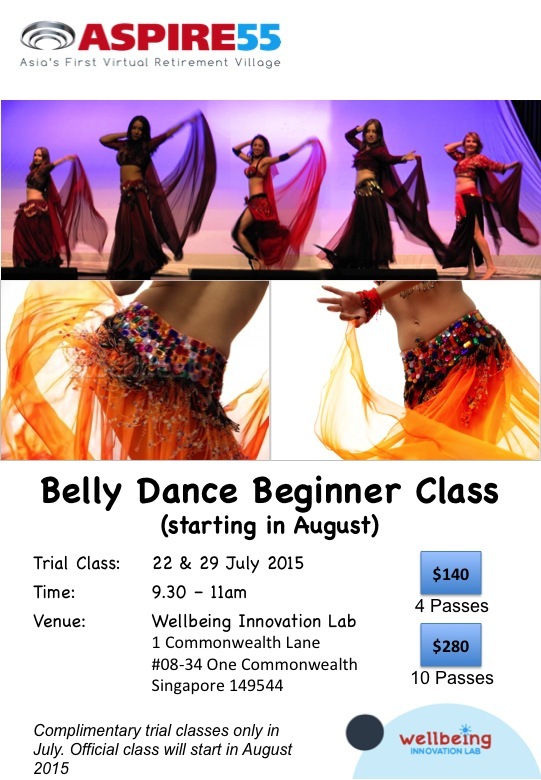 Belly dancing is both a relaxing and enlivening dance that can help tone the body and improve body confidence. Physical fitness can greatly improve with regular sessions of belly dancing. It helps firm and tone the muscles in a gentle way, especially the abdominals, arms, upper back, hips and thighs. Jessica Woo - Belly Dance Instructor. She has more than 10 years experience in belly dancing, performing on-stage and teaching in dance studios and Community Centres. She is excited about teaching some groovy moves to our members.